Will's Korean Journey: Foreigner Therapy. Expat therapy. The question comes about so often when I am talking to people back home about life in Korea, "How do you cope with being a foreigner?" Well honestly, it takes some time, some good friends, and alcohol to learn how to cope effectively. The most important thing is having good friends. Without good friends, and as much as I hate to say this, but good native English speaking friends your time draws out like a knife. You need to be able to interact, tell jokes, speak in slang, and generally just speak at full speed. 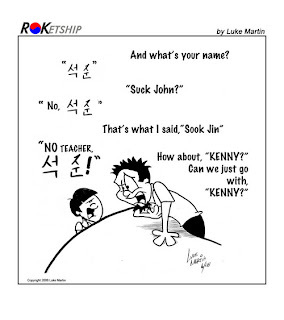 So often you are worried about the words you are using in English because if you do not use the basic adjective or verb Koreans might not know what you're using. It is a tough line to walk between making your language to simple, and speaking normally. On one hand you feel like your talking to a mentally handicapped adult, on the other hand you get blank stares followed by thirty minutes of explanation. You just need time to be amongst people where you can say "man I totally bombed my lessons today." To quote Drew "It's important." Yet, I've found quite possibly the true reason for foreigner gatherings here in Korea. It is a form of group therapy. Yes, it normally involves alcohol, not always, but normally. The other thing it involves is tons of humor about your current situation in life. As bad as it makes us we constantly make fun of our students. 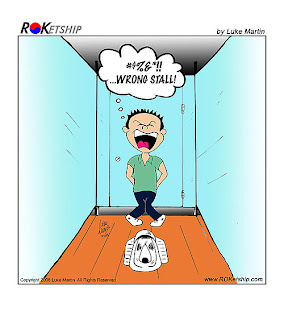 Anyone who has spent any time as a teacher, knows that when teachers are in the lunch room, they are talking about the stupid things their students have done that day. Well, we do much the same here in Korea. We are constantly speaking in "Konglish." For those of you who don't know what that is, it is the same thing as "Spanglish." Basically it's a mixture of bad English pronunciation and Korean. These words often have the long vowel sound E at the end of them. Take for example finish. 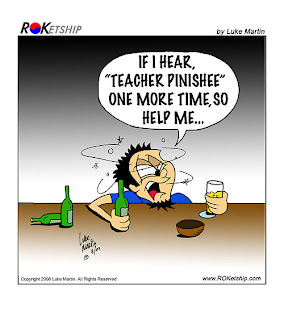 The Konglish equivalent of finish is "Finishee." Another example would be the word which. Which if you haven't guessed by now is turned into the ever present "whichee." Now before you think that this only happens with words that end in H let me give you some other examples: Out becomes "Oush", Hello becomes "herrow", Fish becomes "Pish", Mart becomes "martu", Cheese becomes "cheesuh", Pizza becomes "pisuh", etc. etc. etc. Needless to say, it becomes very easy for foreigners when in a gathering to start saying this words out of jest for the bastardization of their language. Ohh well. Needless to say, this therapy also happens to take form in the making of videos, blogs, and cartoons. Here are a few of the best examples. David's Birthday and another beach to boot.